If you are a mobile app developer, you know just how important it is to fully test your product before it is released to the general public. You have to make sure that you get rid of all the hidden bugs that could be there. The only way to make sure your app will really work is to beta test it. Beta testing is the secret for the best app quality, but you might want to check other methods here. Beta testing is also an important stage in app development to guarantee the best user experience. You need to be sure the app works on all devices and all OS versions. It’s also important to gauge how users interact with the app. After all, the worst thing that can happen is to get a lot of negative feedback when the app is released. As an app developer, you need to use the best, most efficient and cost effective way to beta test your app. 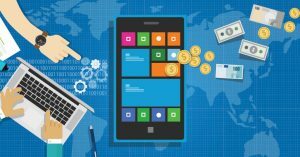 What are the challenges of beta testing mobile apps? Of course, it is fine to test apps on an emulator in a controlled environment. However, this kind of testing doesn’t show up all the hidden bugs that can appear when it’s being used on real devices. There are a number of challenges involved in successfully beta testing apps. Meeting all of them can be a difficult and time-consuming process. What makes it even more challenging is the fact that there literally tens of thousands of different mobile devices on the market. They all have their own specifics like memory size, screen size, operating system, and manufacturer. Take, for example, the Android OS. Currently, there are around 19,000 distinctive Android devices made by many different manufacturers. The beta testing needs to make sure that the app works on all of these devices. Operating systems are also frequently updated, and this calls for more beta testing before any new OS is released. Fend off bugs and keep your users safe. Interruptions. For example, how the app responds when an SMS or incoming call is received. These are unique challenges that can only be met by beta testing your app. What are some ways that you can beta test your mobile app? Your close acquaintances can be very useful to help you beta test. They will often be enthusiastic to help in the app development and you can get fast feedback from them. One drawback is that your family and friends may be too tactful to tell you if something isn’t good. Obviously, the range of devices that they have will be quite limited. A competition could be used to find more people to test your app. Usually, those who respond will be interested enough to spend some time testing the app, after all, they were interested enough to take part in the competition. You could contact those users who send suggestions or give feedback. The fact that they have already contacted you show a level of interest in the app development. Many will be willing to test out their suggestions. The above methods are all good up until a point. However, none of them can be relied on 100% of the time. 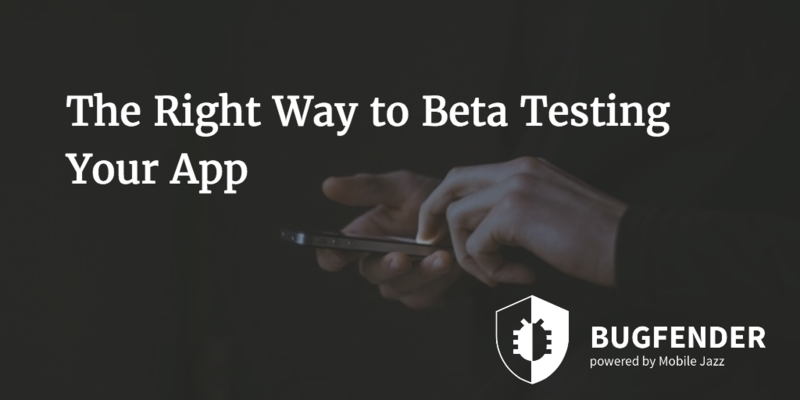 The best way to make sure that your app is beta tested properly is to use specially designed beta testing tools. These give you the chance to sort out the bugs before users get a chance to complain. What are some of the most popular tools for beta testing? 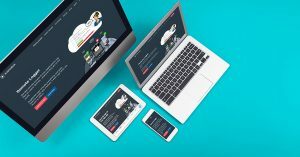 This service connects you with testers in over 80 countries who are experienced testers. Their service also provides in-app bug reporting with screenshots. You also get built-in bug tracking with the service. Testers are invited to test your app and provide feedback. The service has an app that the tester can download to his mobile device or the tester can use the web app. You can also see how your app looks on every device. You also can receive a video of the exact test that was done. Your app for testing is stored on their cloud server and then testers are invited to run tests. This way, you can keep all your apps in one place. You can then specify what tests are to be performed and then view the results. Perfecto gives you the chance to test your app under real conditions. 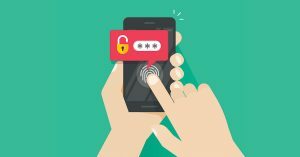 This can be invaluable to make sure that your app works in the ‘real world.’ The service also provides real devices before these are released to the general public. This helps app developers release their apps when new devices are released. These are very useful testing tools, but it can take a lot of time to gather and analyze all the information and reports. There is one tool which surpasses all of these in terms of beta testing – this is Bugfender. Why is Bugfender the best tool for app beta testing? The power of Bugfender is that it connects with all the tools just mentioned. So, you get the services that those tools provide and a whole lot more. What does this mean for you as an app developer? As you know, developing a mobile app is a complex process. Even with those tools mentioned, it can still be very difficult to track bugs and figure out exactly what went wrong. When you have Bugfender integrated into your app, you are able to find bugs faster. You will know the exact steps to take to reproduce to bug. This can save you a lot of time and frustration trying to resolve the issue. You can also resolve bugs that individual users are having on their device. Bugfender is more than a reporting tool; it actually helps you to identify the source of the problem. It also allows you to remotely access the debug console to view the logs from any device that is experiencing bugs. Bugfender is the mobile app beta testing tool that you have been waiting for. It takes the frustration out of beta testing and app development. It will help you find the source of any bugs that come up on any device. You can then quickly and efficiently resolve these. Aleix is a Full Stack problem solver, with a huge amount of experience in multiple technologies, there’s almost nothing he can’t do. as_menshealth Created with Sketch. as_websummit Created with Sketch. as_aimail Created with Sketch. as_ford Created with Sketch. as_taxify Created with Sketch. as_autodesk Created with Sketch.